The inaugural Young Coasties Festival at Culburra Beach was a joint initiative between our the Culburra Beach Youth and Community Projects Committee, Shoalhaven City Council, Youth Week NSW and local groups and clubs Culburra Cougars Football Club, Culburra Beach Cricket Club, Love Culburra Beach Festival, Culburra Beach Progress Association, Human Matters, Culburra Beach Boardriders Club, Culburra Public Primary School and the Nowra Culburra Surf Life Saving Club. With thanks to all the great volunteers and a coordinated approach across 9 organisations the 2 day festival was a huge success supporting 1000 young coasties attending plus more families and visitors from across NSW, ACT and the Shoalhaven Region attending the flagship event that offered activities and opportunities for youth and young people to Get Active, Get Involved and Get into It. 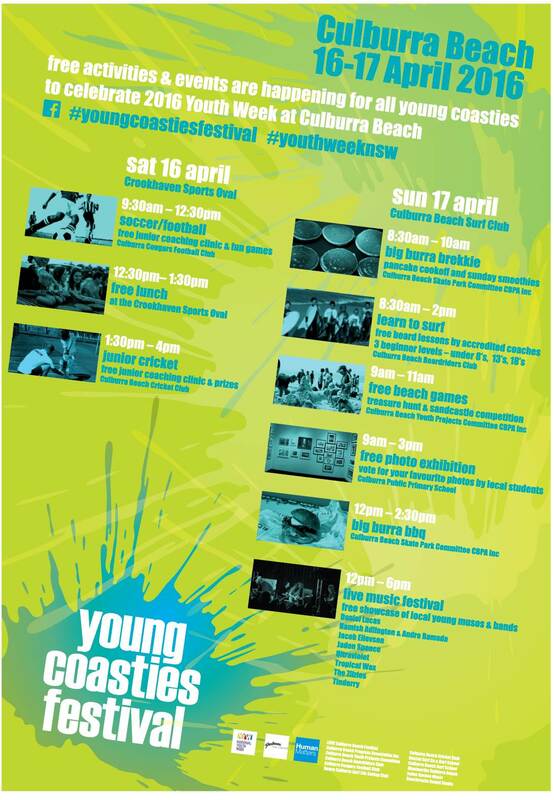 Event organiser Alex McNeilly said “the Young Coasties Festival was designed by youth for youth, the festival was a great success offering youth during the school holidays access to sport, art, music and education within a cool festival vibe on the beach. It was a great to see so many take advantage and enjoy the festival which promoted youth leadership and mentoring to develop new skills in event management plus give many access to new experiences. 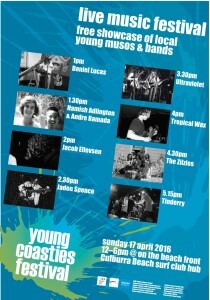 The Young Coasties Music Showcase wrapped up the festival with an awesome concert by local youth musicians and bands. 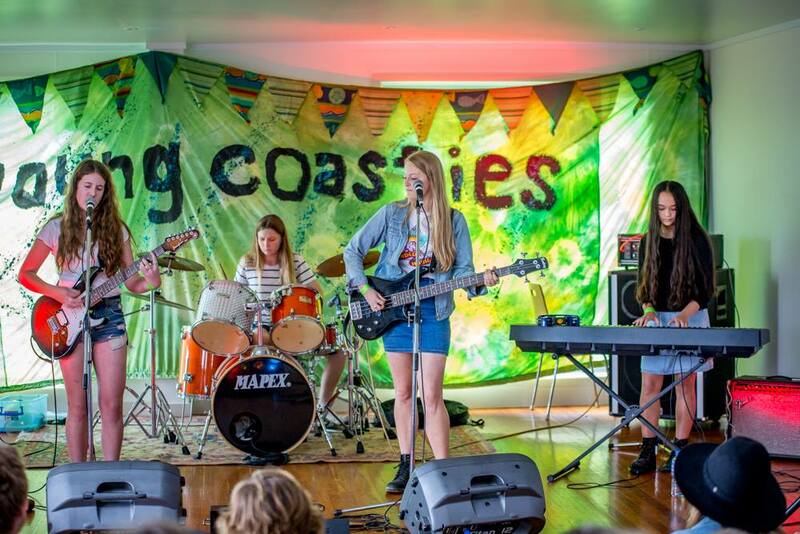 We have so many talented young musicians on the South Coast and Culburra Beach. Congratulations everyone for pulling together to make the first Young Coasties Festival at Culburra Beach a great inclusive youth focussed event.